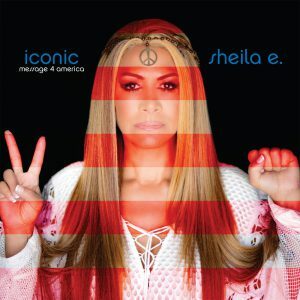 SHEILA E. may have become a household name thanks to her work in the mid-‘80s with Prince but she was – and is - much more than that! The daughter of iconic percussionist Pete Escovedo, she began her career in the mid-1970s as a percussionist and singer for The George Duke Band. After leaving the group in 1983, Sheila began a successful solo career that started with her critically acclaimed 1984 debut album The Glamorous Life. More than just a Prince-groomed diva, Sheila E. has continued to amaze and delight her fanbase with albums that blend a potpourri of styles into something that can only be described as ‘the Sheila E. sound’. This multi-talented musician – often referred to as The Queen of Percussion – is back with one of the most important albums of her career- ICONIC: MESSAGE 4 AMERICA.